You can call me crazy, because I am. I mean, who in their right mind does this? I am in the middle of renovations at the new house, getting the old house ready to sell, and now I’ve decided to jump into the fire and take part in the One Room Challenge! For those of you who aren’t familiar with the ORC, it’s a bi-annual blog event held by Linda at Calling It Home, where bloggers complete a total transformation of one room in just six short insane weeks. 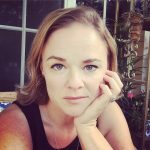 There are 20 “featured designers” that post about their transformations on Wednesdays – and then the “guest participants” link up their rooms on Thursdays. I’m a guest participant, so look for my updates on Thursdays. The transformations that have happened during these challenges are un-freaking-believable! I’ve chosen to renovate our kitchen at the new house for this challenge, because, like I said, I’m crazy. No really, it’s because we are completely renovating the kitchen anyway, and this will keep me motivated to finish it in six weeks. Lord help me. So, this is our kitchen when we bought the house, before we did anything to it. Looks good, right? It did. But little did we know, those cabinets were one move away from falling apart. After 37 years, I guess that’s to be expected. They fell apart at the seams when we moved them so we could take the floors out. You could see once they were moved that they had been moved before – at least a few times. I mean, they weren’t without their issues before we moved them. For example, half of them were higher by a few inches that the others. None of the drawer rollers worked well at all – they creaked and stuck and screamed for new bearings every time you tried to open them. I was going to try to paint them, replace all the hardware and insides, but it would have cost me almost as much to fix them up as it would be to replace them. Okay, not quite, but I thought it was ridiculous to try to give them a makeover when they still wouldn’t function as they should or look like I wanted. I’m new to making Olio boards, (that’s the programs I used to make that little mood board above) so don’t laugh! We are going with black shaker type cabinets, bamboo floors, lots of polished chrome and hopefully some stunning counter tops! I haven’t decided on a few of the details, like the lights above the island, or if we are going with granite or quartz, so it will be as much a surprise to me as it is to you! While most of the kitchen renovation will be self funded, I did reach out to a few of my favorite brands to request their assistance in this transformation…Special thanks goes out to Moen, DLawless Hardware, and Golden Select for their help in making this happen. I can’t wait to start, and I hope you’ll follow along. This is the link to see all of Week One’s Featured Designers… and this is the link for all my fellow guest participants. Come back next week to see how it’s progressing! YAY!!!! 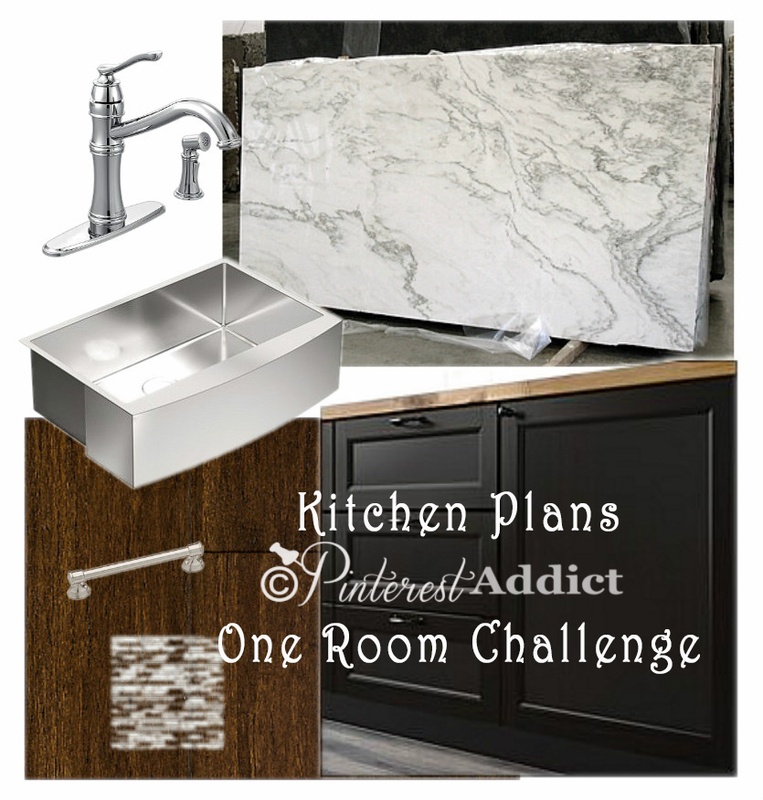 so glad you’re participating and can’t wait to see your amazing new kitchen! 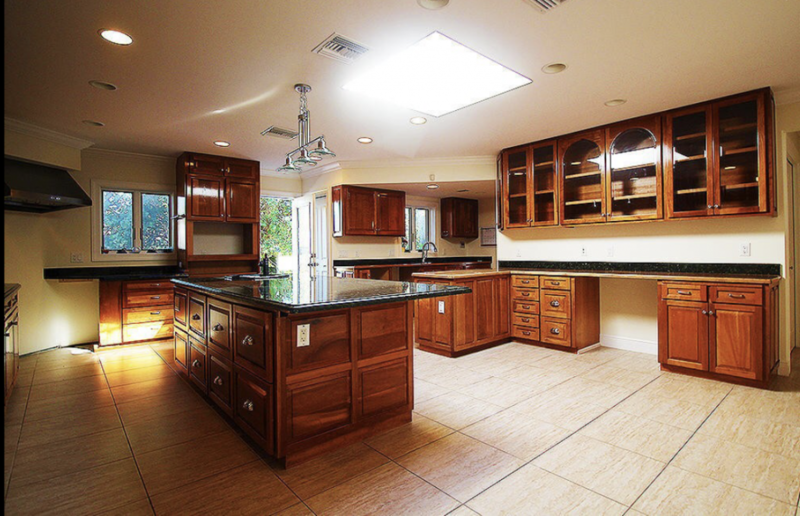 For starters, you have an amazing kitchen space to work with. I love this design board…it’s going to be fantastic, I can’t wait to see it all come together. The crazy train arrived and we are on it 🙂 I LOVE your board and plans. In fact, this is similar to what we want to do to our mini “kitchen” that we have in an add on above the garage. Looking forward to seeing your kitchen. 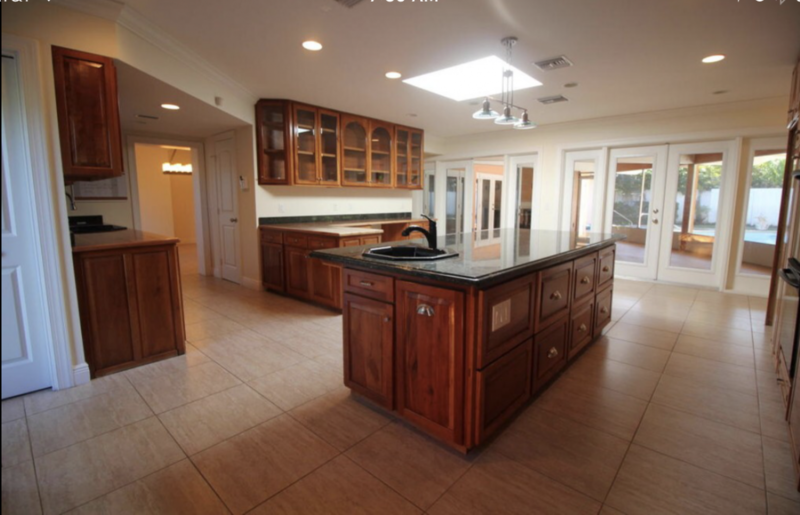 PLUS, that’s a HUGE kitchen! Looking forward to seeing the kitchen all finished! Love black shaker cabinets, great choice. Freaking love your kitchen inspo! Can’t wait! This is going to be amazing!!! You have so much space to work with! Also, I may think you are just a tad bit crazy but we are all on a timeline and stuff needs to get done! I am feeling like I might have bitten off a little more than I can chew with this one though!! I’m super excited though – once it’s done, it’s going to be so nice to be “done”! If there wasn’t a challenge to get me motivated to finish, it might take me forever to get it done! Good luck on your kitchen makeover! We had our kitchen renovated 10 years ago not long after we bought the house. I totally would love a chance to redo our kitchen down the line…don’t tell my hubby. LOL!! Good luck and look forward to following along your progress :). Wow, your kitchen is so big! It’s going to be beautiful! Good job on the mood board. Did my first one too! Quartz would be my choice and the slab on the mood board is great! You are going to have one stunning, awesomely huge kitchen!!! Excited to see how this room turns out. Your kitchen has amazing architectural bones so it is bound to turn out beautifully! Love love love the black cabinets and white marble countertop- so classic! We are renovating our kitchen too, though it’s much smaller than yours and I would actually say we are doing a refresh/remodel. Good luck- I’ll be following along for sure!